Lien Pham is a Lecturer in the Graduate Research School. Her research interests are international education and development, political participation in non-democracies, language and identity, and Vietnam studies. She has collaborated in research projects about political participation in non-democracies, and international education practices in Australia. She has also consulted for various NSW government agencies in public policies research and evaluations, and multilateral organisations including UNESCO Bangkok on educational policy reforms. Lien has published widely in the areas of sociology of education, education and development, returning graduates’ experiences, identity and representation, and community development. She is currently writing a book about the experiences of Vietnamese international graduates in the local economies, universities and communities upon returning to Vietnam. 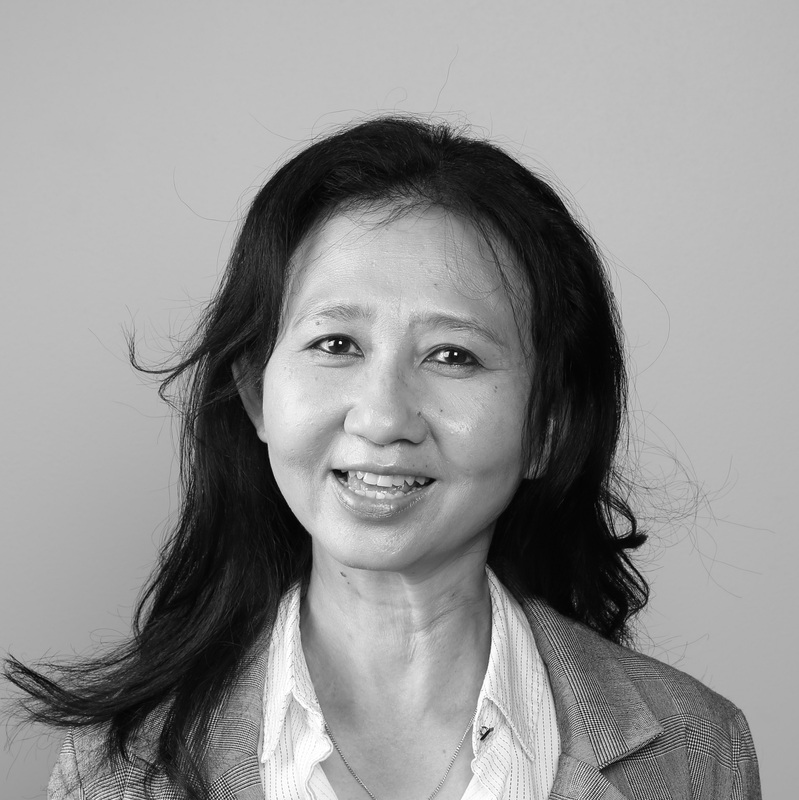 In her current role at the Graduate Research School, Lien teaches epistemology and foundational issues in qualitative research, research designs and qualitative data analysis. She has presented seminars and facilitated research methodology workshops in Vietnamese and Malaysian universities. Lien also provides consultations on survey design and analysis, and economic evaluation in public policies and health. Experiences of the Local Economies, Universities and Communities Lien Pham. © The Author(s) 2018. This paper offers a conceptual framework that combines Sen's concept of capability and Bourdieu's forms of capital to understand the generative mechanisms of educational advantage or disadvantage. The paper illustrates some ways that the Sen–Bourdieu framework can be applied to understand the Programme for International Student Assessment 2015 results and measures of educational contexts for Australia. The Programme for International Student Assessment 2015 results indicated that students' socioeconomic background and student-level and school-level factors affect their educational performance. Guided by the proposed framework, the paper explains some of these effects and the contexts in which they occur. It suggests educational disadvantages are attributable to economic capital and other forms of capital within broader structural, representational and relational contexts of schooling practices. The implications for improving equity in education are to recognise forms of capital that enable or limit students' educational capabilities, identify contexts and schooling practices in which such enablers or limitations occur, and improve opportunities as well as processes in schools in ways that secure students' differences and uniqueness. Tran, LT & Pham, LT 2016, 'International students as intercultural agents: Engagement with domestic students, institutions and the wider community', Compare: A Journal of Comparative and International Education, vol. 46, no. 4, pp. 560-581. Pham, LT 2015, 'Rethinking international education through the concept of Capabilities: a bridge to development in Asia's emergent knowledge societies', Confero: Critical Essays in Philosophy and, Education, vol. 3, no. 1, pp. 1-36. Pham, LT & Saltmarsh, D 2013, 'International students' social identities in a globalised world: Narratives from Vietnam. ', International Journal of Educational Research, vol. 12, no. 2, pp. 129-141. Drawing on the findings from in-depth interviews with Vietnamese international students studying at Australian universities, this article presents insights into the sociological influences that stem from international students' social networks, at home and abroad, and how they impact on students' aspirations and engagement in international education. Underpinned by Bourdieu's social capital framework, this article critically challenges human capital ideology for its assumptions of individualism and utilitarian function of education as economic goals. The implication for international education providers is to create learning and living opportunities that consider students' social and cultural conditions so as to develop their capacity, self-determination and citizenship. Pham, LT 2017, 'Aspirations of Vietnamese overseas-trained graduates in their homeland' in Tran, LT & Marginson, S (eds), Internationalisation of Vietnamese Higher Education, Springer. Tran, LT & Pham, LT 2016, 'International students' connectedness in Australian vocational and training colleges: Insights from Teachers.' in International Student Connectedness and Identity Transnational Perspectives, Springer. Pham, L 2018, 'VIETNAM'S PATHWAYS TO NEOLIBERALISM: AN ANALYSIS OF STATE-SOCIETY RELATIONS IN DOI MOI ECONOMIC REFORM', VIETNAM'S PATHWAYS TO NEOLIBERALISM: AN ANALYSIS OF STATE-SOCIETY RELATIONS IN DOI MOI ECONOMIC REFORM, 25th World Congress of Political Science, Brisbane. Pham, L 2018, 'Responsibility and freedom in community activism: A case for sustainable development in Vietnam's emerging civil society', Social Ontology 2018, Tuft University, Boston, USA. Drawing on a research project about community activism in Vietnam, this paper analyses the notion of responsibility in enabling social change. Interview data with 48 Vietnamese community workers suggest that the Vietnamese habitus imposed on these activists a set of moral obligations to families, communities and the State, which shaped their conception of freedom. The majority of interviewees valued community work because helping others particularly those within the immediate families and communities are laudatory and obligatory in Vietnam. On the other hand, the State's pervasive presence in all aspects of social lives enhanced the high Confucius master/servant role, which resulted in limited desire for political participation at the grassroots level. Freedom was viewed by these Vietnamese activists as being derived from responsibility – prospective responsibility to satisfy their obligations to their families, communities and the State before they could move to satisfy their individual rights and freedom. In this way, responsibility became part of the person - their self-consciousness - and thus not seen as a constraint to freedom since they voluntarily imposed on themselves the responsibility before they exercised their freedom (Ballet et al. 2013). At the same time, these activists also had rights and freedom within their social contexts, which informed their actions in their obligations to others, although this was more visible in foreign non-government organisations. This conception of retrospective responsibility - to be accounted for by a person when their freedom has been exercised - takes the individual as a source of moral decisions based on the view that objective freedom exists outside of the person (Sen 1999). These activists' political ambitions and will to exercise agency depended on their conception of morality and freedom that mediated between these two forms of prospective and retrospective responsibilities. Pham, L 2018, 'Family and community networks: Tactics of everyday life practices in the Vietnamese diaspora', Asian Studies Association of Australia Conference 2018, University of Sydney, Sydney, Australia. This paper examines the role of family and community networks in Vietnamese communities in Sydney. Interviews with Vietnamese international students and their relations suggest networks of exchange and participation that are predominantly families and close friends in Australia with extended relations in Vietnam. Examinations of cultural artefacts from Vietnamese newspapers in Australia also reveal proliferation of business relations within the close community of Vietnamese-Australians, juxtaposed with melancholic overtures of Vietnam's past years. To this extent, the Vietnamese diasporic consciousness represents vernacular tactics of everyday life as cultural and political imperatives for wellbeing and agency. The paper argues that Vietnamese sense of 'self', home and belonging are constituted within discourse of Vietnamese social and cultural norms of close family and community networks that transcend time, space and place. Their lived-through experiences account for the Vietnamese past and present and construct identities that speak to Stuart Hall's ideas of being as much as becoming. Pham, L 2017, 'Capital and Capabilities: Reimagining Social Justice in Education', Capital and Capabilities: Reimagining Social Justice in Education, HDCA 2017 Conference: Challenging Inequalities: Human Development and Social Change, Cape Town, South Africa. Pham, LT & Nguyen, L 2015, 'Understanding the culture of communication in shaping value, equality and process of agency: A case study of community activities in Vietnam', Human Development and Capabilities 2016, Georgetown University, Washington DC. Pham, LT 2014, 'Social networks, commitment, and agency in community work participation in Vietnam: Civil society reconsidered', Human Development and Capabilities Association 2014, Athens, Greece. Pham, LT 2013, 'Reimagining the ideology of international education and development: from human capital theory to perspectives of freedom and capability - A case study of Vietnamese students in Australia', Reimagining the ideology of international education and development: from human capital theory to perspectives of freedom and capability - A case study of Vietnamese students in Australia, 6th Vietnamese Economist Annual Meeting, DEPOCEN, Hue, Vietnam. Pham, LT 2012, 'Evaluating the transformative impact of international education: a case for operationalizing the capability approach using Bourdieuian theory', Human Development and Capabilities Association 2012, Jakarta, Indonesia. Pham, LT 2011, 'The sociocultural dimensions of human capital theory: Re-imagining the ideology of international education', Human Development and Capabilities Association 2011, The Hague, the Netherlands. Pham, LT 2010, 'Beyond human capital theory: Social relations and networks in Vietnamese students' experience of Australian tertiary education', Society of Research into Higher Education (SHRE) 2010, Wales, the United Kingdom. Pham, LT 2016, Customer Service Improvement Plan (Initial Report). A report to the NSW Customer Service Council Meeting for the Premier Priority 12, Sydney, Australia. Djonov, E, Pham, LT & Torr, J 2016, Early Literacy in NSW Public Libraries: A survey of library staff involved in early literacy initiatives, Sydney, Australia. Pham, LT 2012, Migration and its implications for education policies. June 2012. Paper for UNESCO-KEDI Policy Seminar: Education policy-making in the age of migration in Asia and the Pacific, Bangkok, Thailand. Pham, LT 2012, Understanding emergent development trends in the Asia-Pacific region and their implications for a new vision of education, UNESCO Bangkok Regional Experts Meeting: Towards EFA 2015 and Beyond - Shaping a new Vision of Education, Bangkok, Thailand. Pham, LT UNESCO Bangkok 2012, Towards Quality Learning for All in Asia and the Pacific'. Report of the 2011 UNESCO-KEDI Regional Policy Seminar, Thailand, Bangkok. Pham, LT 2012, 'Towards Aid Effectiveness: The Importance of Mutual Accountability', UNESCO Bangkok.